When I was doing my initial analysis of the entire Beretta company, I was quick to call the PX4 their finest firearm. After conducting a more thorough examination, I think I made the right call. Top to bottom, the entire PX4 series is one of the finest lineups of handguns I’ve ever seen. These Italian made semi-autos have become a favorite choice among law enforcement and personal defense shooters ever since their inception in 2004. Although the PX4 shares many design features with the Beretta 8000 and M9 (92 series), it’s still completely different from both. I’ve always been somewhat partial to Beretta, especially their handguns, but this pistol is truly spectacular. If you don’t want to take my word for it, then buckle up, because the Gunivore breakdown of the Beretta PX4 Storm starts now! Weight 26.1 oz. 27.3 oz. 27.7 oz. 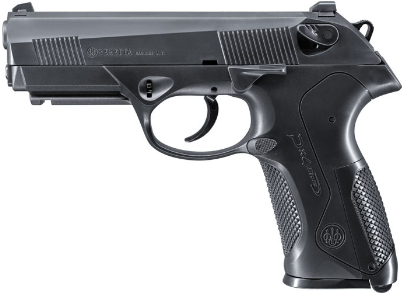 The impeccable Beretta engineering embodied in these pistols made the PX4 an instant classic. Nearly every feature was designed with handling and control in mind. 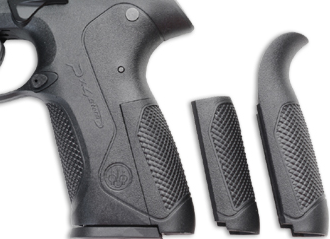 One of the finest additions that Beretta made to the Storm is the personal feel of the individual size grips. The 3 different size options, each with checkered back straps, promise a firm grip even in the wettest conditions. Even more, like many other Beretta’s, the PX4’s are completely ambidextrous; the pistols are equipped with reversible mag releases and safeties. In order to stay true to their Italian tradition, Beretta designed the PX4 with an external hammer. The major benefit of this is that it eliminates nearly any chance of misfiring due to weak primer strikes. What many people don’t realize is that the external hammer also provides an additional safety feature –with this design, the shooter has a clear view of the gun’s cocked or uncocked status. Similarly, the visible automatic firing pin block prevents the weapon from firing if dropped. One of the first things I look for in a gun is how easy its takedown is, and the PX4 Storm field strips in a flash. Beretta engineered their flagship handgun to be disassembled quickly and easily. Although this isn’t the most durable pistol I’ve seen, Beretta took plenty of measures to ensure its reliability and strength. The PX4’s body is coated in a non-reflective black material which is highly resistant to wear and corrosion. Since this Beretta was designed for personal defense and law enforcement, you can be sure that accuracy was a major priority for Beretta. The 3-dot sight system on these semi-autos provides quick and clear target acquisition. 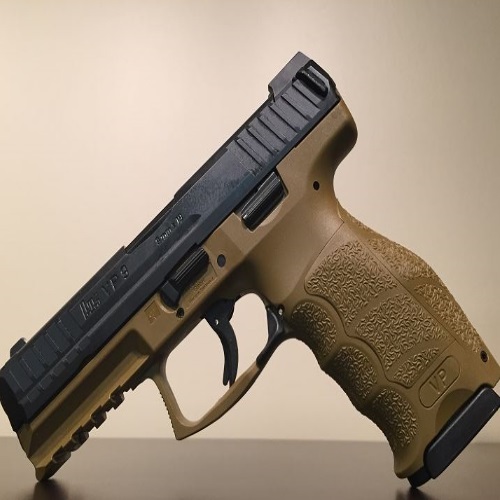 Overall, this is one of the finest built handguns you’ll find. Their extremely lightweight design, especially in the compact and subcompact variants, provides exceptional handling and control. If these features aren’t enough for you, Beretta added a Picatinny rail in front of the trigger guard for added accessories. 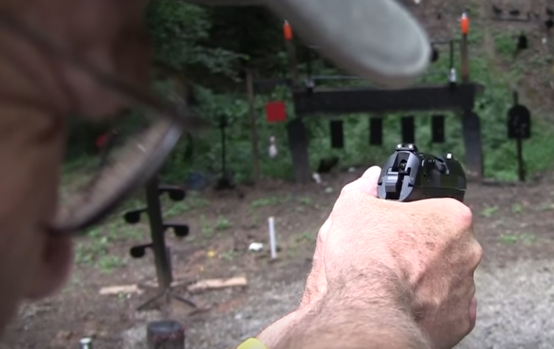 In my experience shooting and reviewing firearms, I’ve rarely come across a handgun that performs as well as the PX4 storm. No matter which size you go with, you can rest assured that you have a reliable gun with unmatched handling and accuracy. In order to lower the PX4’s recoil and muzzle rise, Beretta designed their gun with a direct barrel-slide locking system with a low barrel axis. Furthermore, to add to its user-friendliness, Beretta incorporated a smooth slide to ensure a snag-proof pull from your holster. As I mentioned earlier, the PX4 Storm’s exceptional accuracy is partly due to the combination of the external hammer and 3-dot sight system. The full force of the firing pin guarantees a clean shot, while the simple sight system offers quick and clear shooting. One of my favorite features of the PX4 Storms is their high capacity steel mags. There may however, be one caveat about these durable mags, and that is that they are “drop-free.” I know that American weapon designers tend to favor these, but it’s unusual to find a European company to use them. 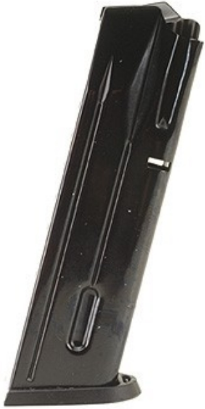 If drop-free mags don’t bother you, then you have another reason to love the PX4 Storm’s mag system. Also, if you don’t think the high capacity mags are enough, Beretta does manufacture extended mags for these guns. Although I don’t usually like to add attachments to handguns, there are a few which go perfectly with the PX4 Storm. The integrated Picatinny Mil-STD-1913 rail is the perfect choice to add all kinds of devices. For starters, if you’re looking to add a flashlight, I’d go with the Insight M Series LED X2 Sub Compact Handgun Light. The Insight light is not only one of the best sub compact flashlights out there, it also mounts and removes in seconds. However, this device goes for around $150, so if that’s not out of your price range, then I highly recommend it. Another great attachment for the PX4 Storm is the Mil-Spec Uni Max Micro Rail Mount Red Laser. 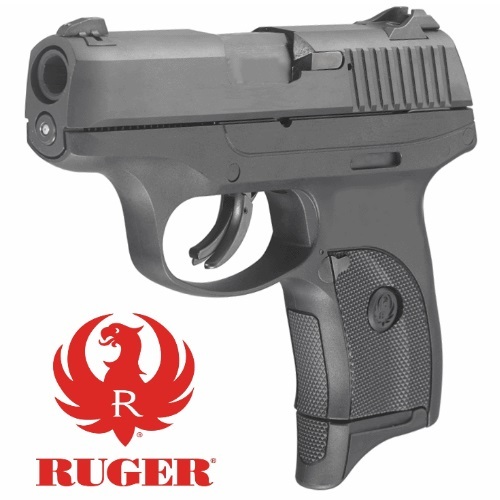 This ambidextrous accessory is the perfect match for both compact and subcompact models. If you’re really looking to splurge, then you gotta check out the SureFire X400V IRC White-Light/Infrared LED + Infrared Laser Weaponlight. This is the ultimate gadget to add to your PX4 for the small price of $800. Whether or not you decide to supplement your Beretta, it’s crucial to have a high quality holster. The Beretta PX4 Pancake/Tanga Leather Belt Holster is an average but reliable holster. If you’re looking for something a little different, I’d check out the Blackhawk Serpa Concealment Holster. For a little more variety, I’d head over to Alien Gear. 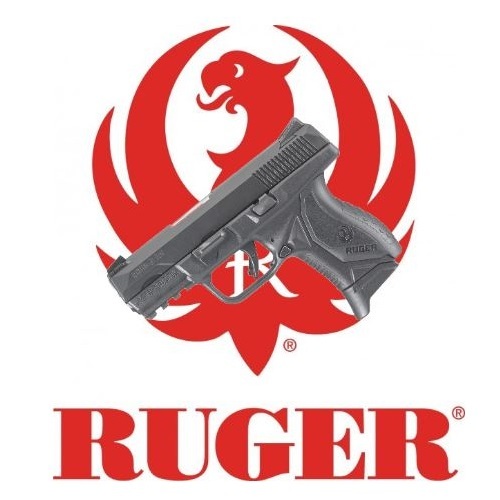 I recently became a huge fan of their products because of their quality and selection. 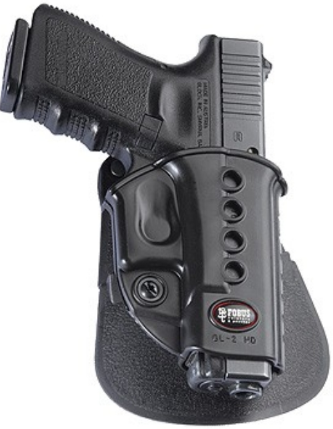 They make a great cloak tuck inside the waistband holster for the full size PX4 for a reasonable price. They also offer what they call a single cloak mag carrier which is a great way to carry an extra mag on your person. In fact, they even offer a holster and mag carrier package deal. The major difference between the variant PX4 Storms, besides for their obvious size differences, boils down to their barrel systems. The Subcompact Storm uses a tilt barrel system while the Compact and Full size feature a rotating barrel design. Beretta’s pride in their products extends further when it comes to the PX4. They claim that the subcompact version is the most advanced sidearm gun of its kind. As a man with large hands, I generally steer clear from subcompacts, but I was ecstatic to hear that Beretta patented a SnapGrip Magazine Extender to give their smallest PX4 a better grip. Similarly, Beretta designed high capacity mags for their subcompact as they did with the two larger versions. One of the features of the compact PX4 which stood out to me was its capability of accepting the full size mags. Although all of these semi-auto pistols make excellent CCW’s, I’d recommend the full size or compact before the subcompact. Although I was extremely impressed by the Beretta PX4 Storm, I’ve met many shooters who would prefer the Glock 17. 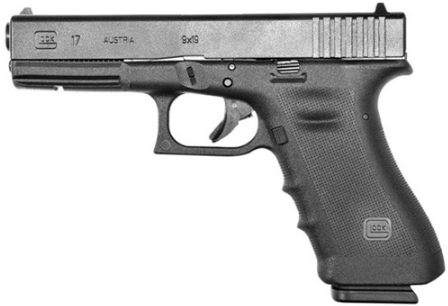 The biggest arguments for their case are the Glock’s lower price and simpler design. Most critics of the Beretta don’t seem to have real issues with its performance; they seem to be more concerned about prices, aftermarket options, and simplicity. However, I hate the “Safe Action” trigger on the Glocks. Nevertheless, even with all the hate on the PX4 Storm, I still prefer it over the Glock 17. For further reading, take a look at our Glock 17 vs. SIG P226 feature. Read our Beretta ARX160 Rifle Review and Browning BPS Shotgun Review – only at Gunivore!